Charades is a game suitable for all ages! It involves acting out words or phrases printed on cards. A game of charades provides a wonderful two-way communication opportunity that can strengthen interpersonal skills. It is also a great work-out for the brain! 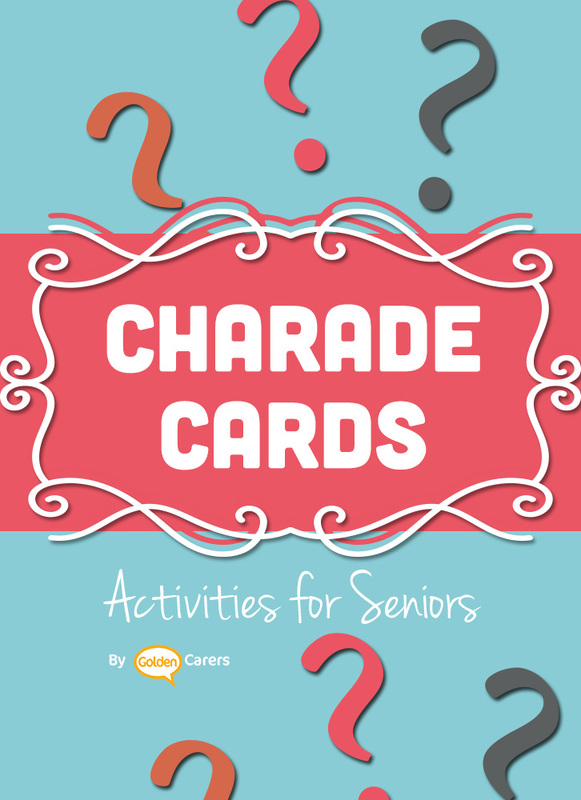 Seated Charades Cards for the Elderly - Print & Play! Yes, will do! Thanks for the suggestion Wendy. Great suggestion, we've added 2 blank pages to the end, one in colour and one light grey. You can print off several copies of these to write on them. We played for the first time yesterday and had a great giggle. We played as a group and mostly seated. It was heaps of fun and I had only positive feedback from everyone. So nice to hear Mandy! Thanks so much for your feedback! I introduced Charades about 4 months ago and it's now a favorite. It took a while to get people out for it but once they saw how fun it was it didn't take long to get a bigger group together. We truly spend an hour laughing! I mostly just use action words (fishing, dancing, typing, building a camp fire, etc) as they are easy to act out. We also do it as a group activity not in teams and that seems to work well. Thank you for some new words to add to the one's I have! Ah that's lovely to hear how much they enjoy a game of Charades! Thanks for your feedback Diane. Charades is one of the most fun activities - family played it this past Christmas. It is incredibly challenging to do everything with sign language and not speak while you are doing this. Good on you for posting a version of the game (for free) so that we can use this with our Residents. I will definately be giving this a go.... it is alot of laughs!! Thanks so much for your feedback Tricia!